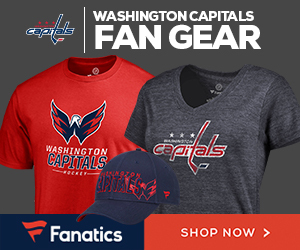 When the Capitals took a 2-0 lead in the first period of their 4-2 win against Carolina on Thursday, it wasn’t a huge shock that Nicklas Backstrom scored two goals – it was the way he scored them. Very rarely does Backstrom go straight up the middle with a defender on him and shoot a wrister in the top corner. It looked like Andre Burakovsky at his best. Normally, he dishes that off to one of his wingers. His second goal, on the power play, came with Backstrom right in front of the net and a centering pass from Evgeny Kuznetsov. Again, that’s not a spot Backstrom normally plays in. In fact, he nearly scored in the same spot on the next power play, before Alex Ovechkin got a goal. But the two goals wasn’t the end of Backstrom’s night. He managed some key blocks in the third period when the Caps’ lead was cut to 3-2. “Nicky to a T is one of the best guys overall out there for us, on and off the ice, a guy that sets a tone for this hockey club, and a guy we all look up to, and him sacrificing the body is what it takes this time of year,” Tom Wilson said after the game. “Tremendous game from Nick. His consistency is off the charts in terms of the game that he brings night to night,” coach Todd Reirden said of Backstrom.